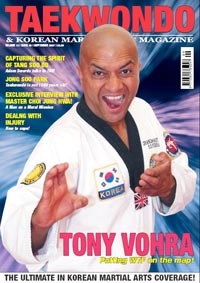 A Very Happy & Prosperous New Year 2008.
a new Taekwondo, Kung Fu or Kick Boxing suit. This prize will be presented to the member who introduces the most new members in January 2008. Posters, flyers and VIP cards are available so please help me to help you. Who were promoted to 2nd Dan. Jeff Scott-Smith for his promotion to 5th Dan. 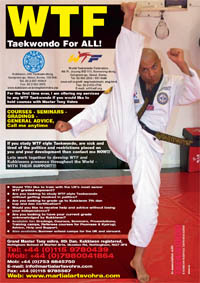 Special seminars are being planned and I will update you in future newsletters.